Product code: R677 Categories: Sold Items, Sold Rings. Combining a rose gold setting and a solid opal, this antique opal ring looks spectacular on the finger and is so elegant in its simplicity. 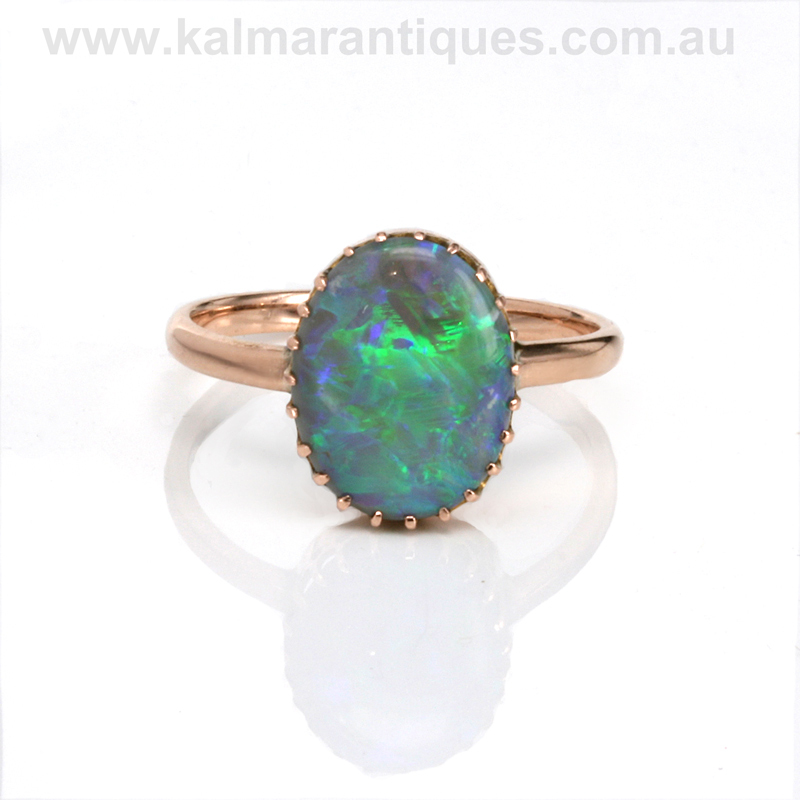 Hand made in 9ct rose gold in the early part of the 20th century, the opal has so much fire and colour to it, made all the more special by being a solid Australian opal. Australian opals have long been regarded as the best in the world, and unlike many of the Ethiopian opals on the market today will not dry out and crack. The setting for the opal measures 14.3mm by 11.2mm and the opal weighs 2.61 carats and throws out all the colours of the spectrum to the eye. With a gorgeous rose gold setting that has that special warm look on the finger, this antique opal ring will both impress and delight.